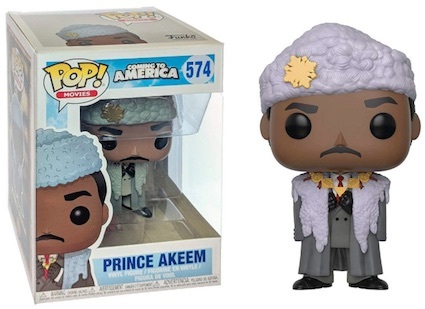 Funko Pop Coming to America highlights the 1988 film about an African prince looking for love in the United States. The comedy stars Eddie Murphy, and the Pop! Movies lineup includes several versions of Murphy as Prince Akeem Joffer. Following Trading Places and Beverly Hills Cop, Coming to America released during the early years of Eddie Murphy's superstar career. Wearing his royal ensemble, the Prince Akeem figure is dressed to impress. 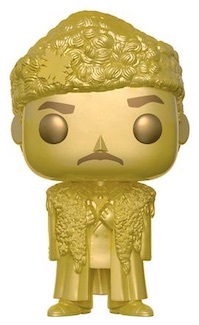 There is also a gold edition for the Zamundan prince that is exclusive to Target. 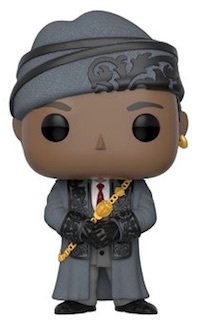 Semmi, Prince Akeem's close friend and assistant, is along for the Funko ride, as well. Semmi is memorably played by Arsenio Hall and he too appears in formal attire. 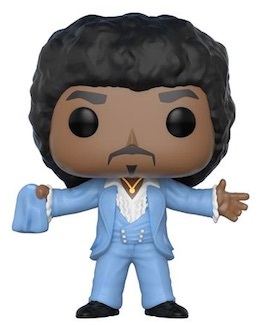 Shop Coming to America Pop! figures on Amazon. 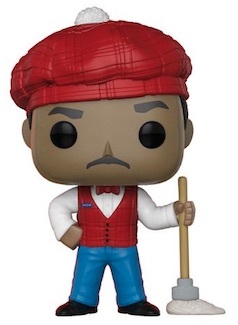 Akeem also comes in a more subdued version that shows the prince working at McDowell's (not McDonald's), the burger chain owned by the father of his would-be girlfriend, Lisa. Fans must visit Target to add the McDowell's figure to their collection. 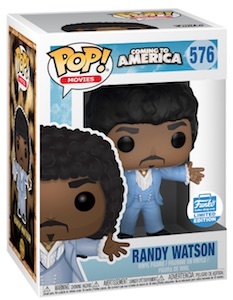 Going out with some soul, Funko Pop Coming to America features Randy Watson, singer in the band Sexual Chocolate. As is common for his films, Watson was one of several characters in Coming to America portrayed by Eddie Murphy. 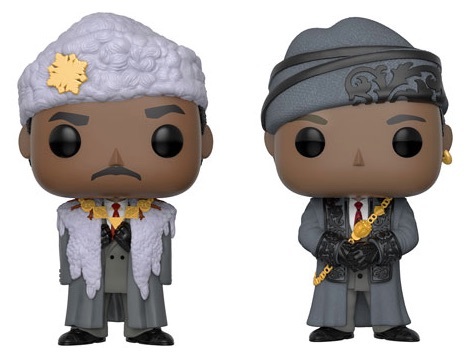 The line still needs a figure for Lisa and King Jaffe Joffer, Akeem's father and King of Zamunda, played by James Earl Jones. However, there has been no official announcement from Funko regarding these options. 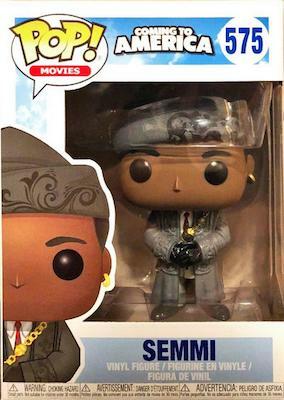 Semmi Coming to America #635 Funko Pop!